Since 1928, the general design of the umbrella – your sometimes not-so faithful companion during unexpected downpours – hasn’t really changed all that much. Come the wind and heavy rain, they’ll blow inside out and, at best, keep your face dry. But New Zealand design engineer Grieg Brebner has decided to change all of that. The result of his hard work and flawless engineering and design is known as the Blunt umbrella. And it might just be the best umbrella in existence. 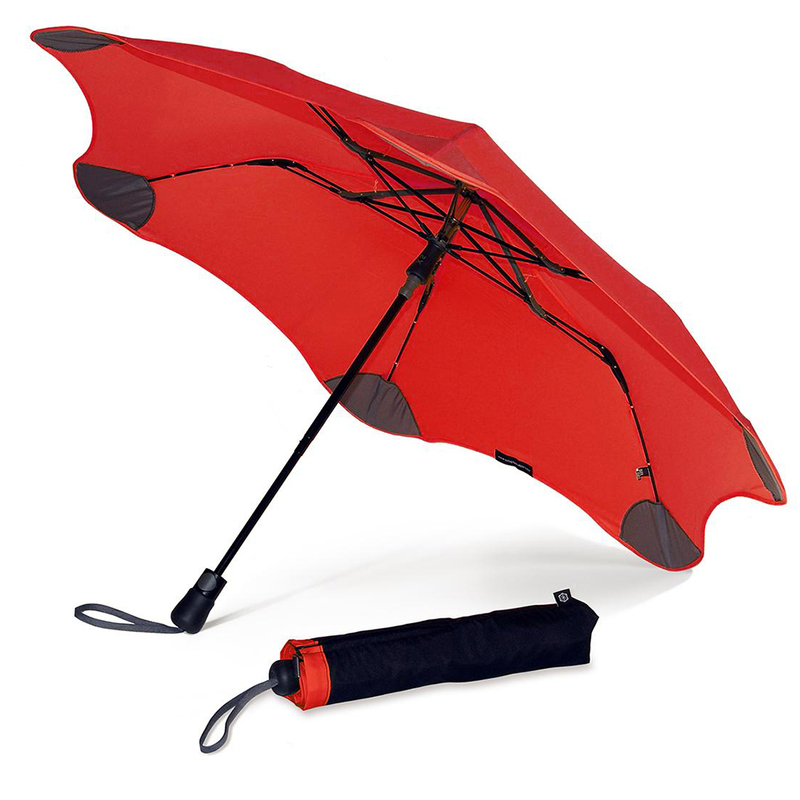 First and foremost, Blunt umbrellas have lost the visible spokes of their forefathers (those are hidden now), and rely on an advanced Radical Tension System to keep them from flipping inside-out on windy days. The high-tension canopy created by this system distributes air over your umbrella so that it remains strong even in bad conditions, and keeps your tension along your umbrella’s edge where it is needed most. The XS Metro Umbrella is best suited to on-the-go city dwellers. A two-stage folding system means they collapse in to compact size, so they can easily be carried about during the day. But despite their smaller size, the Metro Umbrellas are just as tough as their larger cousins. Tough polyester canvas protects the umbrella's structure. RTS (Radical Tension System) redirects, transfers and distributes the effort used in opening the umbrella throughout its entire canopy surface. Double struts redirect, floating ribs transfer, and blunt tips all help distribute tension. Aerodynamic, tense canopy pushes air over the top of the umbrella and stops it from turning inside out. Spikes are hidden within their own pockets of the umbrella, and open like fingers in a glove to create tension along the edges, where it is needed most. Collapses down in to a compact size. Automatic push-button operation and soft-touch handle. Diameter: 95cm (58cm squared coverage).